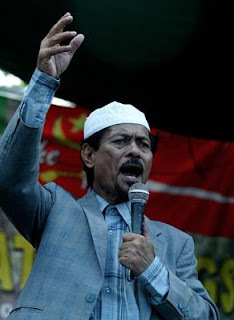 Do Prophet Joseph, Nur Misuari and Anwar Ibrahim Shared the same Fate? Almost all historians believe that "history repeat itself". Today, the history of the Prophet like Joseph is somewhat repeating to the fate of some Muslims leaders. Allow me to mention some of the proof. The history of Prophet Yusuf or Joseph (a.s.) are full of hatred, pride, deception, intrigue, cruelty and most especially jealous. He said, "O my son, do not relate your vision to your brothers or they will contrive against your plan. Indeed Satan, to man, is a manifest enemy. (Qur'an 12:5). Joseph's brothers thrown him into the well. Finally, Prophet Joseph (s.a) who is victim of Zulaika's seduction was jailed. When Prof. Nur Misuari was dreaming to introduce change in Bangsamoro homeland as MNLF Chairman, Governor of the ARMM and Chairman of SPCPD, his commanders and comrades were splitted away from him. Is this jealous or what? Only Misuari and his comrades can explain. I have no rights to blame them. Like Joseph, Misuari was also imprisoned for the case he was not supposed to be punished. 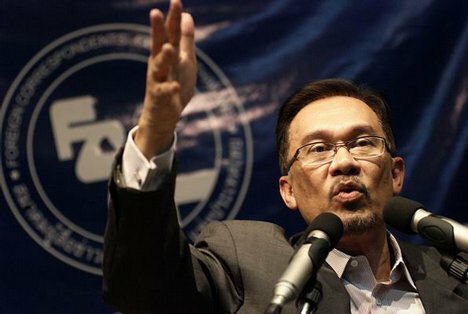 The case of Anwar Ibrahim is still hanging as of today, and Anwar claiming he was not guilt. He was also dreaming to reform Malaysia during his reign as Deputy Prime Minister. He was imprisoned by the Malaysian Government during Mahathir's regime. But in the case of Prophet Joseph (a.s.) he was able to proved his case. God said in the Holy Qur'an. Today both Nur Misuari and Anwar Ibrahim are already released from the prisons like Prophet Joseph after he had interpreted the dreams. The loyalists of both Nur Misuari and Anwar Ibrahim are still supporting them and gain new supporters from the local people and foreigners. The two contemporary Muslim reformists from Mindanao and Malaysia are still breathless on what they believe reformation. Can they be able to prove their dreams like Prophet Joseph (a.s.) did? Joseph (a.s.) rewarded by God. At the end Joseph (a.s.) was successful and his brothers came to him with repentance. What will be the ending of the stories of these two reformists from Southeast Asia? Politic of today is also like during the time of Prophet Joseph's, full of jealousy, abhorrence, brutality, conspiracy, hypocrisy and terror. Indeed, only sincere can survive.